Rome – Home for all Catholics! Visiting Rome is a powerful experience. 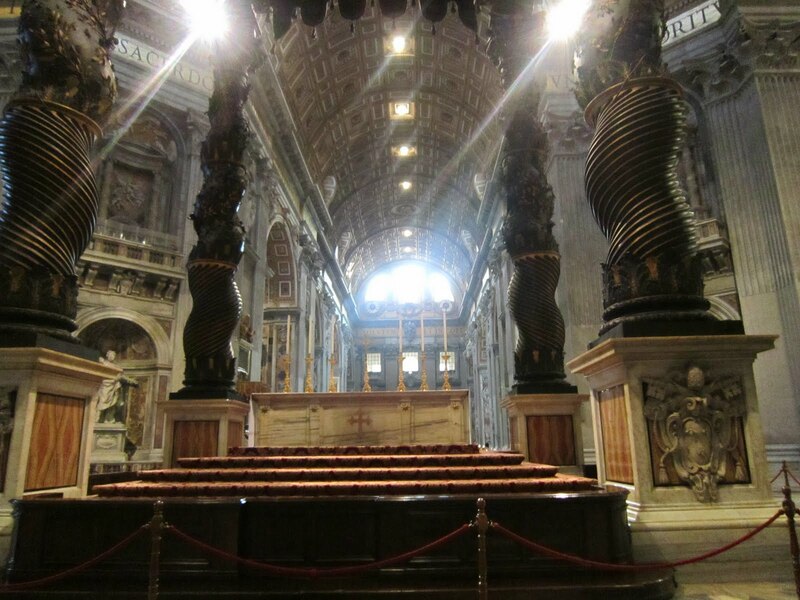 From the four major Basilicas to the ancient Catacombs to the historical sacred art; it is all astounding! On June 29th; the Church celebrates the Feast of Saints Peter & Paul. A day marked in Pope Benedict XVI’s calendar. It is a day when he will offer Mass in St. Peter’s Basilica, welcoming newly appointed Archbishops and their guests as he gives each Archbishop “the Pallium”. Symbolic of the office of an Archbishop, the Pallium is a vestment proper to the Pope, who confers it on archbishops as a sign of their union with and obedience to him. The pallium itself is a band of woolen cloth worn around the neck, with short pendants of the same material hanging down in the front and back, and decorated with six black crosses. It is woven of wool from two lambs that are presented to the pope each year at the Basilica of St. Agnes in Rome on the Saint’s feast day (January 21). To provide local Catholics the opportunity to share in this significant event in the life of the local Church, Tom and I have organized a unique pilgrimage to Rome including visits to the major Basilicas of Rome, the Catacombs, the Vatican Museum, and two nights in Assisi. For Tom and I – it will be the first time to attend Mass with Pope Benedict XVI (along with hundreds of other pilgrims!). It will very special for us, and the 30+ pilgrims from San Antonio that will join us, to witness our Shepherd receive the Pallium from the Holy Father! You will be able to join us on a Spiritual Pilgrimage…later we will post additional details.